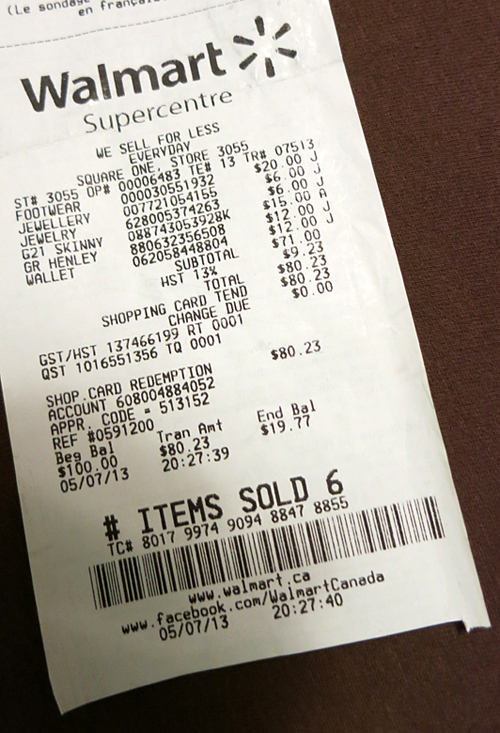 Walmart Canada declared May 2nd its National Day of Savings and invited bloggers around the country to take part in the first-ever Frugal Heroes Challenge. 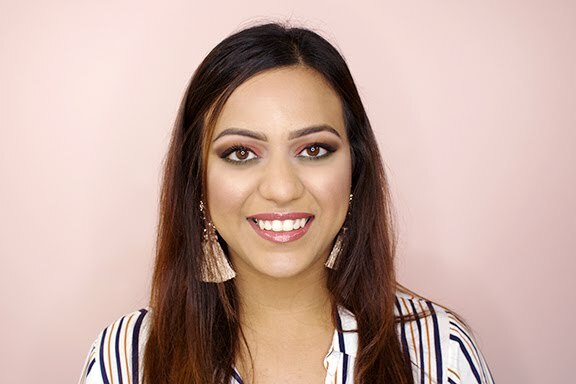 The idea behind the campaign was for each blogger to find and share cost-effective solutions within their niche (whether it's fashion, beauty or other) while staying on a budget. Walmart Canada offered me a $100 Gift Card to style an entire outfit and to share how much I could get and save with that amount. I used to shop at Walmart all the time as a kid; my mom would pick out the most stylish outfits for me. As I grow older I'm starting to realize how important it is to splurge on classic and timeless pieces, but for fast-fashion I always stay on a budget and try to spend as little as possible. That's why the Walmart Frugal Heroes Challenge wasn't that hard for me. I made sure to keep a bigger budget for my shoes, and to spend less on everything else. The first thing I spotted at Walmart were the coral platform wedges ($20) and worked my way up from there. I've been wanting a comfy pair of skinny floral jeans for a while, so when I saw that this gorgeous pair ($12) matched my wedges, my outfit was almost complete. I picked up a casual brown tee ($12) and some accessories ($18 total) to add as an accent. Did I meet the $100 budget with this outfit? I got the entire outfit above (6 items total) for only $71 before taxes. How incredible is that?! This look is on-trend with printed denim and coral, but it's also perfect for the weather we have these days in Toronto. You will definitely see me sporting these pieces that I got from Walmart, together and with other outfits as well. What did I do with the leftover budget of $19.77? 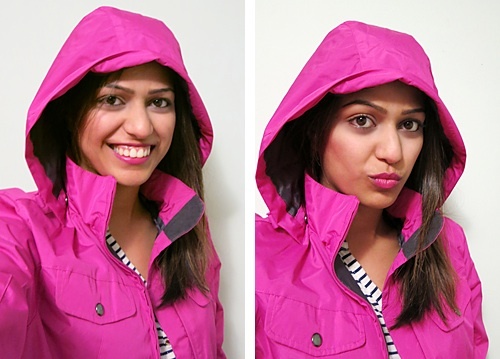 I got a FABULOUS bright pink raincoat! Naturally... I had to take funny photos to share my excitement. How do you think I did on the Walmart Frugal Heroes Challenge? Share your savvy budgeting tips with me @summerxskin.